We're Awakening! : New Switchfoot Email: Eastern Hymns For Western Shores, Now Available, Merch SALE! (and Vice Verses news! ); MORE Switchfoot TV placements?? 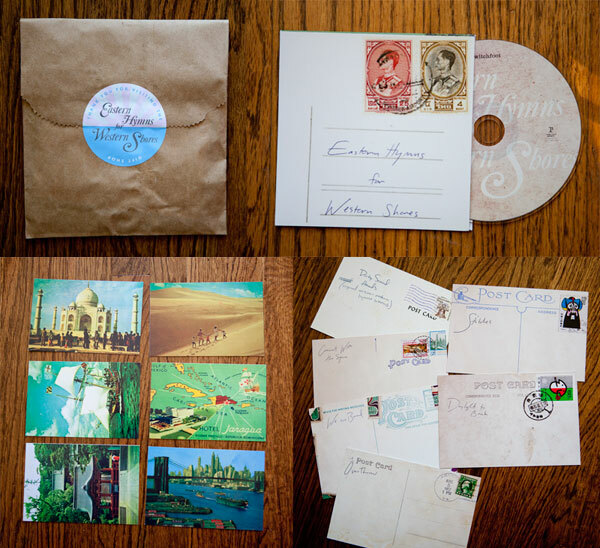 New Switchfoot Email: Eastern Hymns For Western Shores, Now Available, Merch SALE! (and Vice Verses news! ); MORE Switchfoot TV placements?? Congratulations to everyone who purchased one of our 2010 holiday gift packages, we think it was our best one yet. Due to the special limited quantities of the calendars and signed Christmas cards, these bundles are no longer available. However, we are happy to announce that the "Eastern Hymns for Western Shores" EP is now available for individual purchase. You can pick the EP up for $7.99! We have a bunch of T shirts on sale at our online store for $9.99. Perfect way to spend some of that Christmas cash! Head over to our online store to check out the different styles and sizes. CLICK HERE FOR MERCH STORE! We wanted to give everyone an update on our new record Vice Verses. Some of you have heard samples of the songs during our fall tour and at our holiday shows. We can't give out too many details, but we are finally putting these songs on record! Look out for a new Switchfoot album in the summer of 2011! Also, check our websites for studio updates, tour updates etc. CLICK HERE FOR TOUR DATE INFO! ^Nothing too new on this update. We do have official confirmation that the upcoming record will be called "Vice Verses," and that they are getting ready to track the tunes. Be sure to keep checking back here to We're Awakening, and we'll keep you posted on whatever news comes our way in 2011 about the new record! In continuing what has been a wave of Switchfoot TV craziness, "Dare You to Move" was featured prominently in last night's episode of "The Biggest Loser." Really strange title for a show, but whatever. It's great exposure. Oh and a random note to our Australian friends. Switchfoot is playing a rooftop gig in Melbourne on April 22. Click here for tickets and details! That reminds me, am I the only one who thinks that "The Loser" would have been a better fit than "Dare You To Move" for The Biggest Loser? @Ender that would've been so hilarious! also, Bullet Soul got bumped up to #39 today on the mediabase alternative charts.